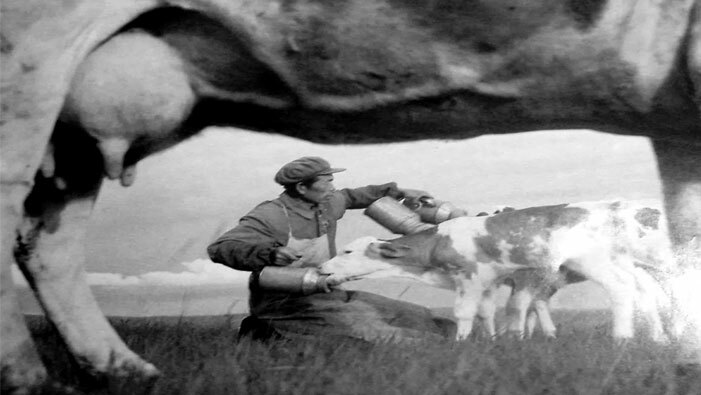 The history of Yili is the historical epitome of how China’s dairy sector grew from small and weak to big and strong. 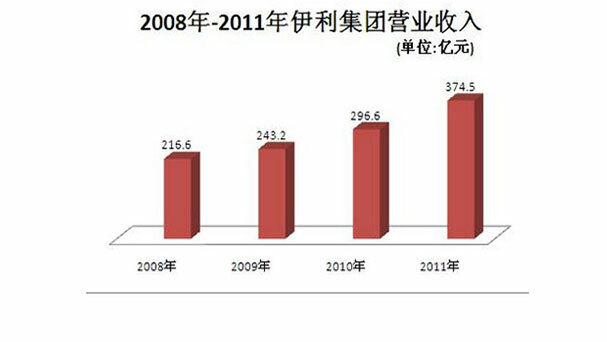 There are four phases in Yili’s development history:From 1956 to 1993: Period of birth,From 1993 to 1996: Period of growth From 1996 to 2009: Period of business expansion:From 2010 up till now: period of business surge. 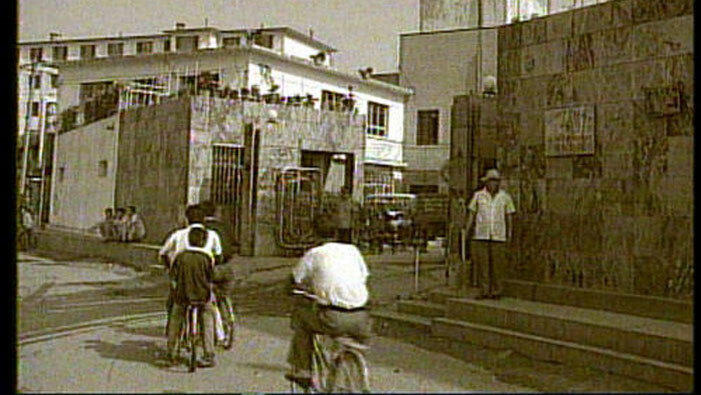 In 1970, the dairy farm was renamed as “Hohhot Hongqi Dairy Farm”. 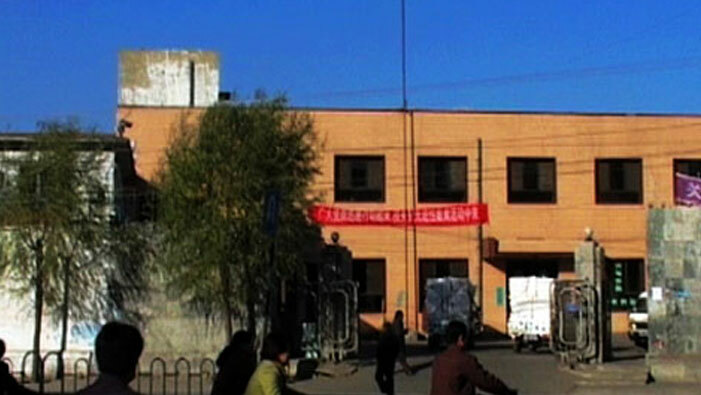 In 1983, Hohhot Hongqi Dairy Farm was split into two parts: the cow-raising division established the “Hohhot Hui Min Dairy Farm”, and the processing division established the “Hohhot Hui Min Dairy Product Processing Factory”. 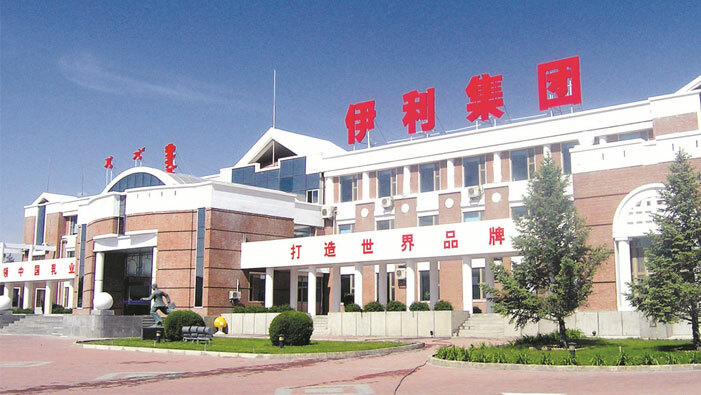 In February 1993, Hohhot Hui Min Dairy Product Processing Factory was restructured, which was initiated by 21 initiators. The factory called other legal persons and its own workers for shareholding and raised funds from targeted sources to set up Yili Group. On June 14, 1993, it was renamed as “Inner Mongolia Yili Industrial Co., Ltd.”. 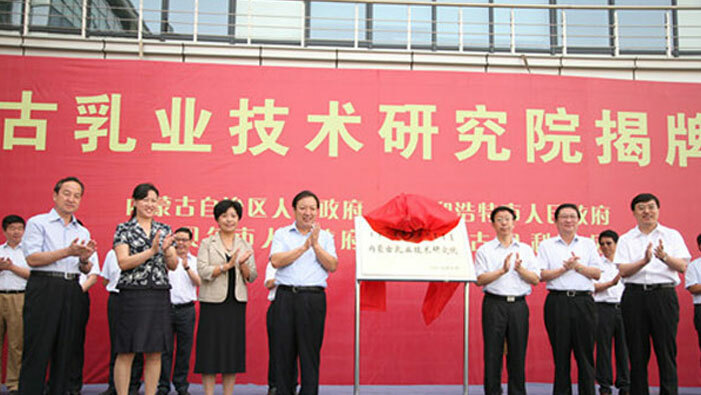 In July 1993, Yili’s Cold Drink Division was established. 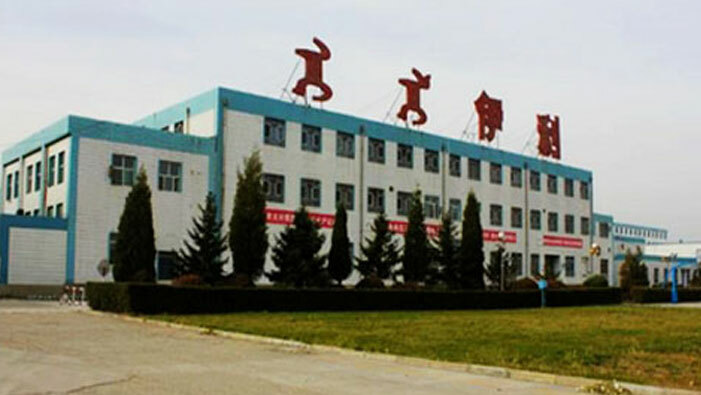 Afterwards, the Company conducted separate management according to the types of products, which started the brand-based operation mode and laid solid foundation for Yili’s cold drink products to outperform its peers for consecutive 19 years. 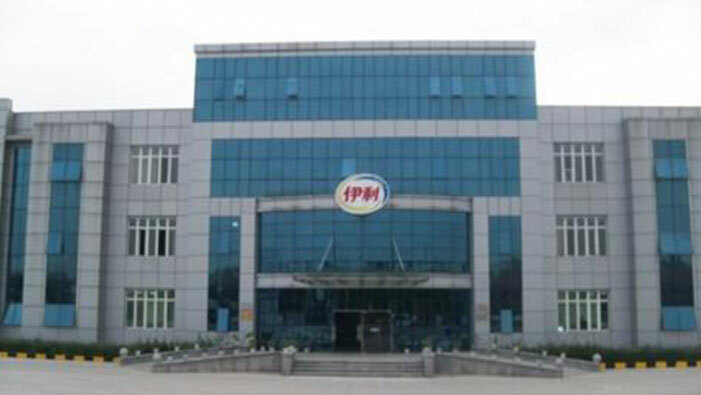 In February 1997, Inner Mongolia Yili Industrial Group Co., Ltd. was formally established. 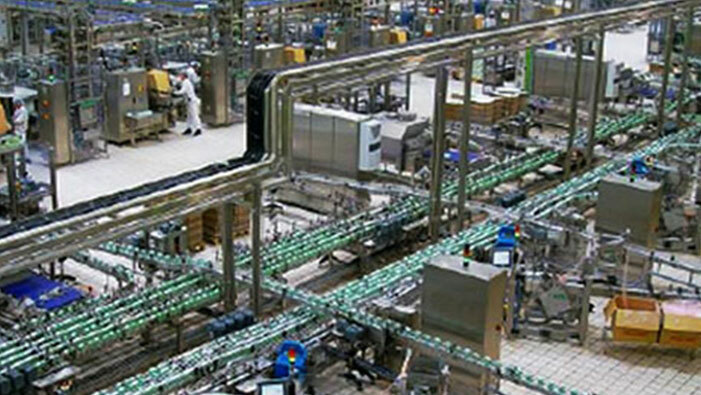 In 1997, the first Lile Liquid Milk production line was put into operation. 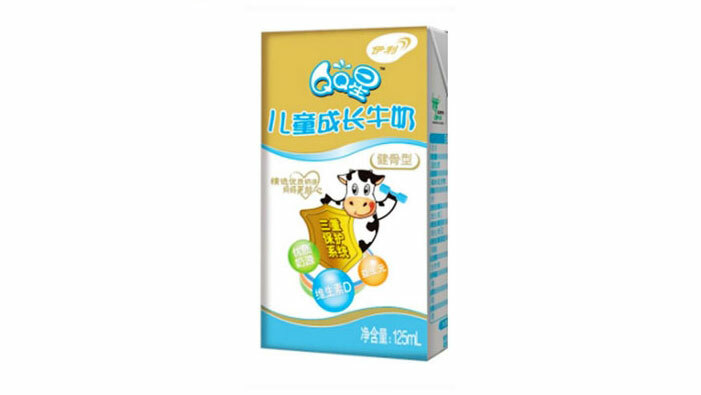 Within the same year, Yili launched pure milk, maltose milk, chocolate milk, strawberry milk and sour milk, which tremendously prolonged the expiry period of liquid milk products, and further expanded the market and influence of liquid milk products. 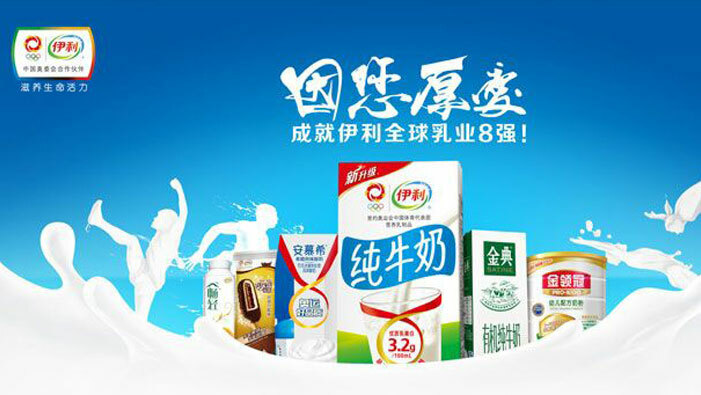 In 1998, Yili launched the brand new type “U-Sour Milk Beverage”, ushering in the era of Yili’s liquid milk products and creating the new pattern of China’s milk drink markets. 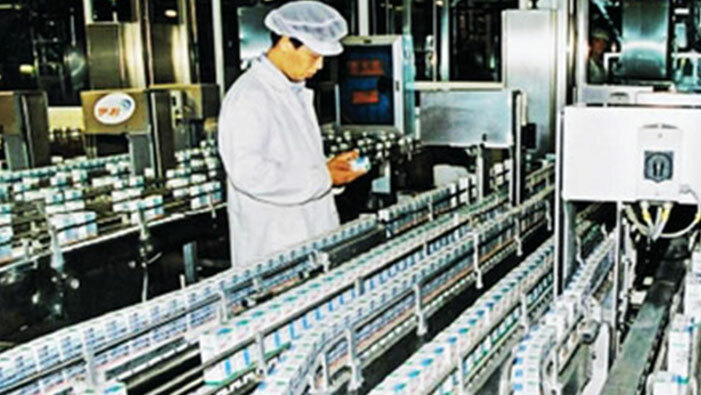 In 1998, Yili’s two powdered milk factories were merged. Afterwards, Yili launched the infant milk powder and the powdered milk containing zinc element for students. 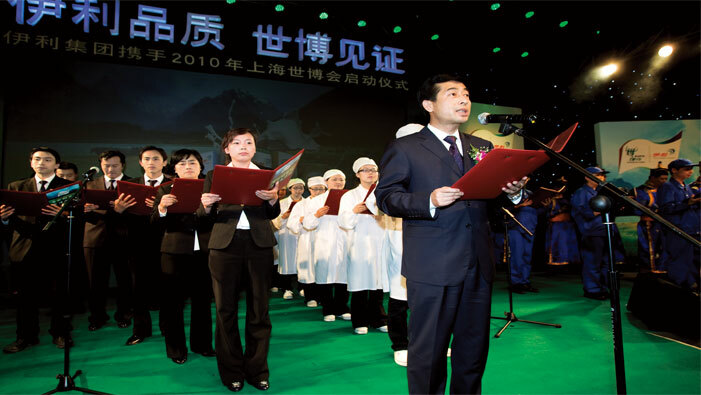 In 2000, Yili established the Powdered Milk Division. 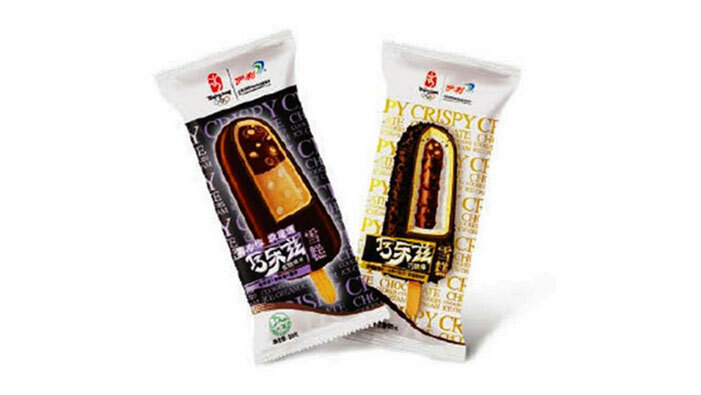 In 2003, Yili launched the Chocliz Ice Cream and pioneered the mixture of thick and fragrant chocolate crisp ice creams, ice creams of abundant flavor of crushed cookies, ice cream of delicious crisp cookies and ice cream of smoothness and softness, creating the combination of tastes featuring mixture of crisp and softness and abundant layers. 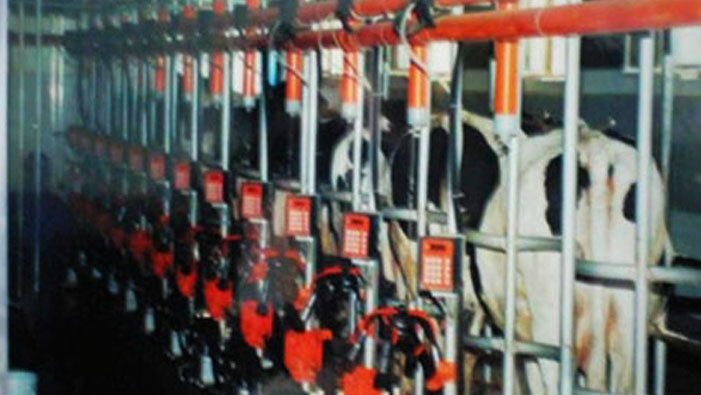 From 2003 to 2004, Yili ranked first place in China’s dairy sector in terms of revenue from main businesses. In the selection of China’s Top 500 Most Valued Brands, Yili ranked No. 38 for brand value of 12.787 billion yuan, and No. 1 in the food industry. 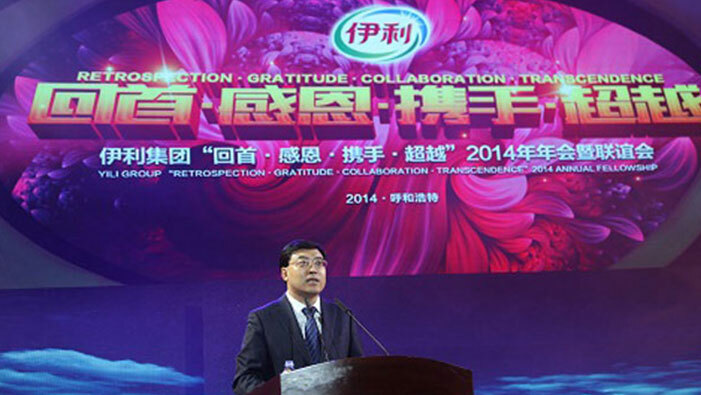 In July 2005, Yili established the Sour Milk Division. Afterwards, the Division developed rapidly, and successively launched over 90 products in 7 major series. Its development speed surpassed those of domestic competitors, which made the Division a significant part of Yili Group. 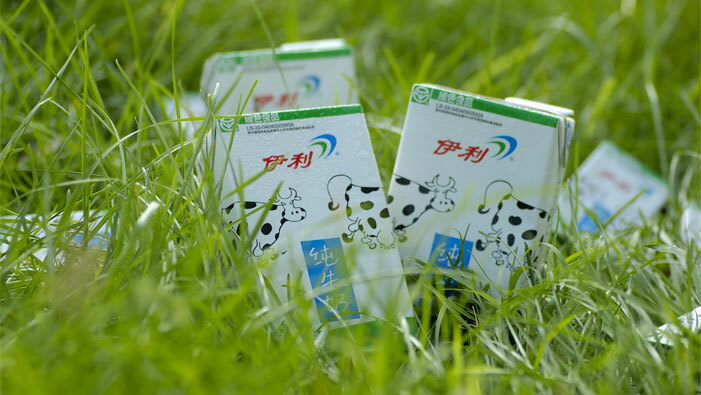 In 2005, Yili achieved sales of more than 10 billion yuan from its main businesses, which made the Group the first enterprises in China’s dairy sector and the first dairy producer capable of accessing to markets across the country. 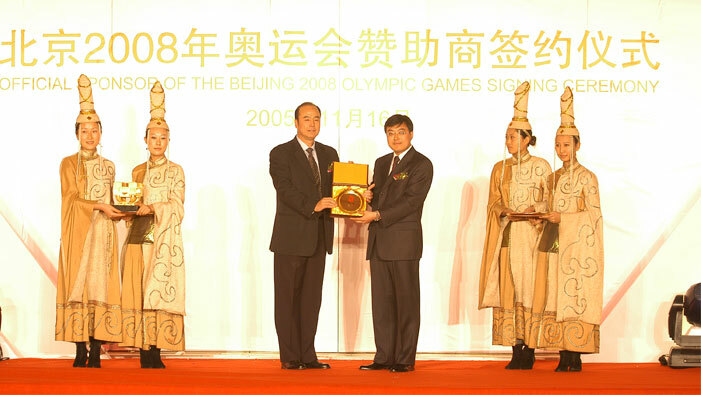 In 2005, Yili became the exclusive dairy products sponsor supplier for the Beijing 2008 Olympic Games. 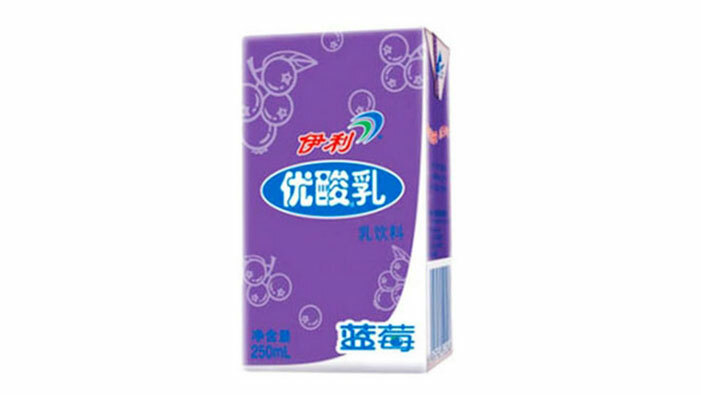 In 2007, Yili launched PRO-KIDO Infant Formula Milk Powder series. It was the first formula milk powdered based on the breast milk research achievement, and the first formula milk powdered specially developed in consideration of the physique of infants. It was awarded the 2007-2008 Science Prize by China National Food Industry Association. 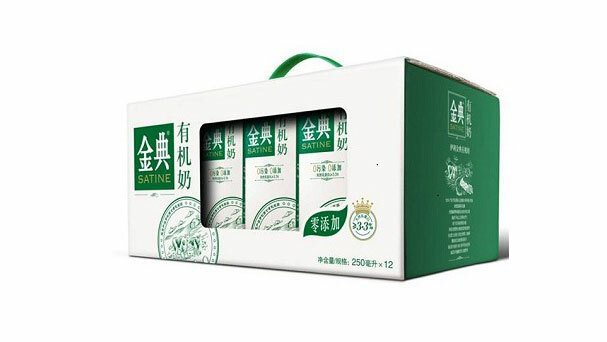 In 2007, Yili launched the Yili Satine Milk, the first organic milk of the Group. Later, the product was well received by Russian President Putin at the “China Year” event staged in Russia. 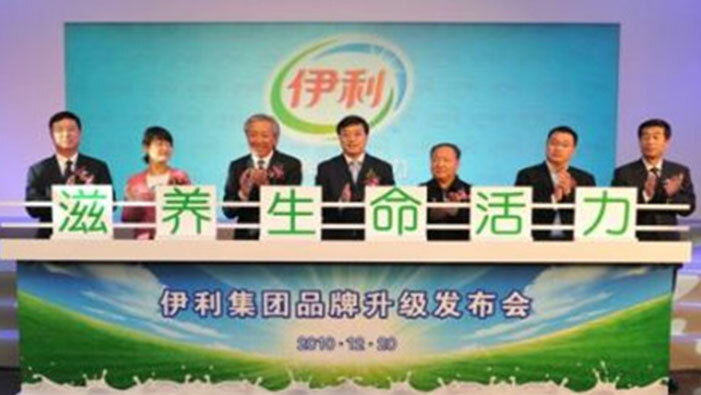 In 2007, Yili launched the Yili Low-lactose Milk (Shuhua Milk), the first low-lactose milk in China. With the innovate LHT lactose hydrolysis technology, the nutrients in the milk lactose will be broken down for easy absorption, which will effectively reduce the milk-drinking discomfort and eliminate lactose intolerance. 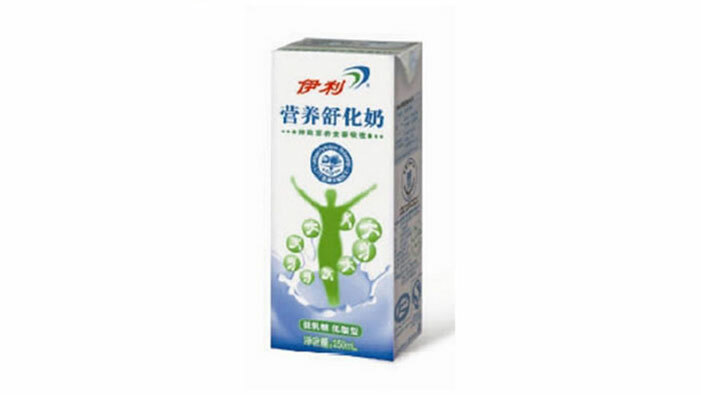 In 2008, Yili launched the Yili QQ Star Children Growth Milk, its first milk helping with the children’s growth. With the world’s leading “three-layer protection system” growth formula, Yili later launched the intelligence build-up and bone quality improvement milk beneficial for the growth of children. In 2010, Yili’s Changqing Sour Milk was awarded the Golden Prize for Innovation of Functional Dairy Products by International Dairy Federation, the highest honor that a Chinese dairy company ever got for the first time ever in the world. 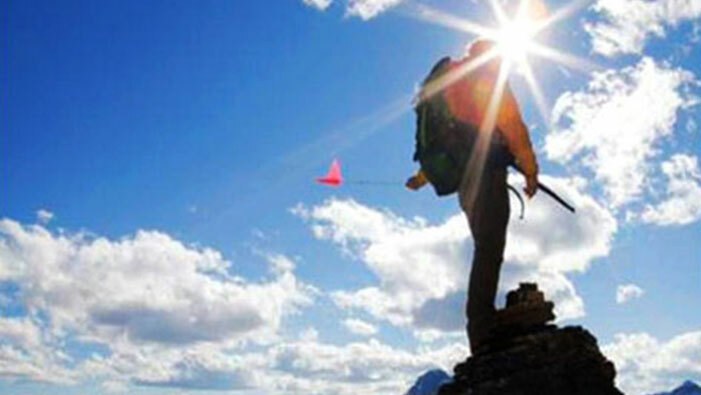 In 2011, Yili overfulfilled its business growth target. 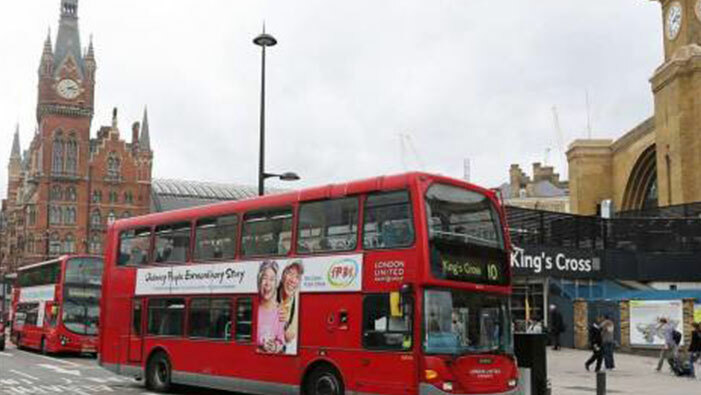 The Group reported sales of 37.45 billion yuan, a year-on-year increase of 26%. 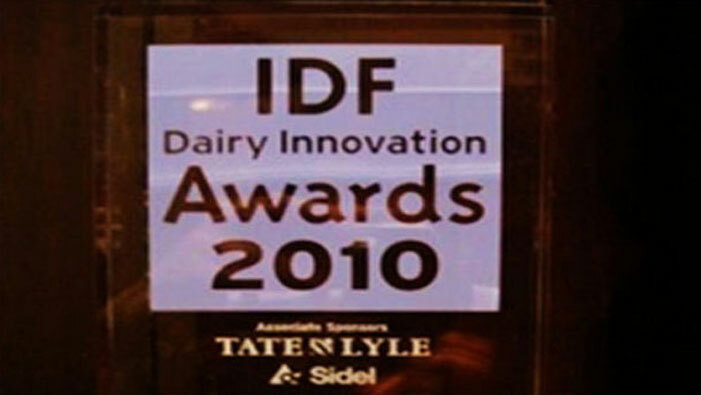 The success indicated that the entire dairy business has picked up. 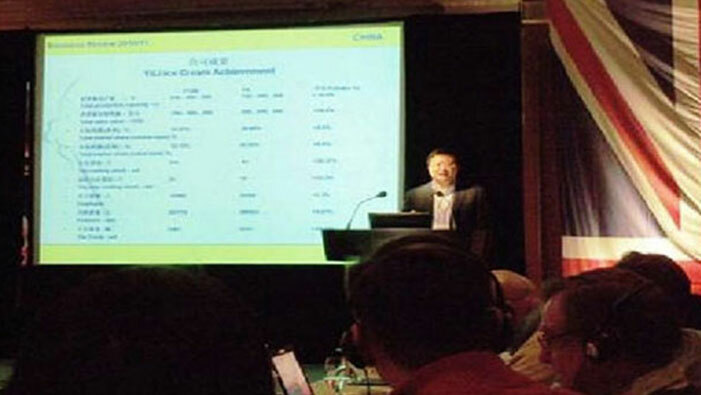 In October 2011, Yili became a member of International Ice Cream Consortium, the first ever in China and Asia. 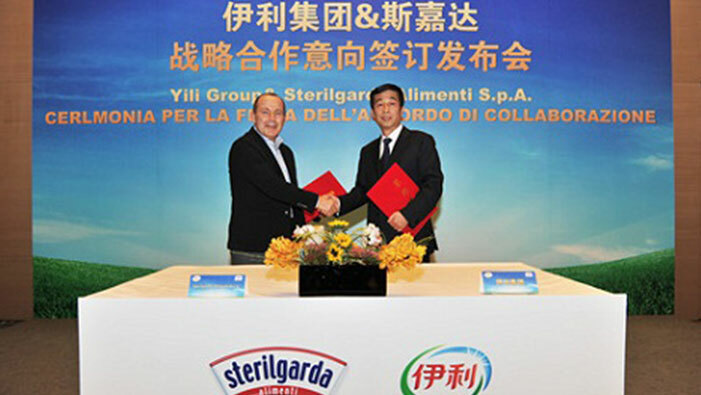 In 2013, Yili made a significant breakthrough in its globalization layout: Yili had its powdered milk project with annual production capacity of 47,000 tons invested in New Zealand was approved by competent government authority, and entered strategic partnership with DFA, the largest milk producer in the U.S., and Sterilgarda Alimenti S.p.A, the biggest diary product company in Italy. 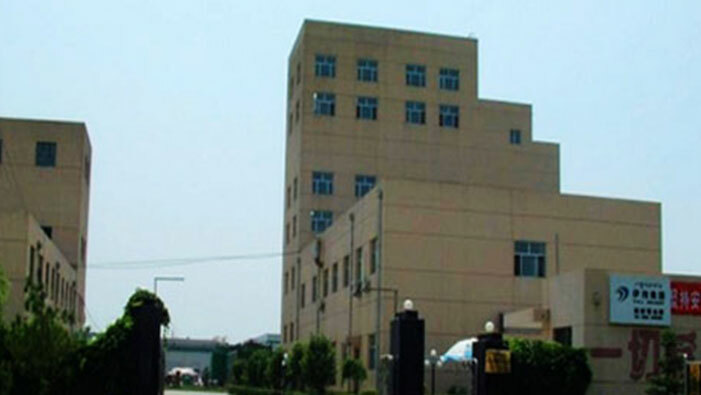 In 2013, the Inner Mongolia Dairy Business & Technology Research Institute was established, the biggest one of its kind in Asia. 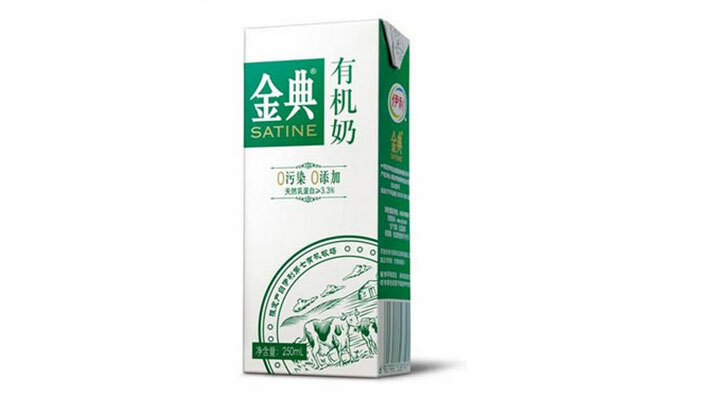 In 2013, the whole process traceability system for Yili Satine Milk was formally launched online, making Yili the first dairy food brand featuring the traceability of its whole production process. 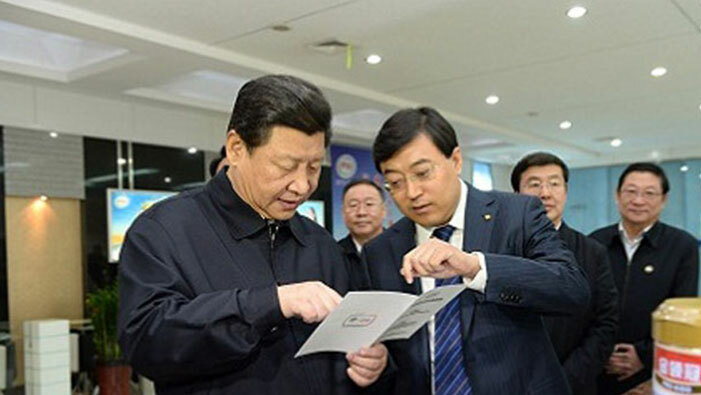 In 2014, Xi Jinping, the General Secretary of the Communist Party of China, President of the People's Republic of China, and Chairman of China's Central Military Commission, visited Yili Group and gave important instructions. In 2014, Yili established its Europe R&D Center, a cooperation fruit with Wageningen University. 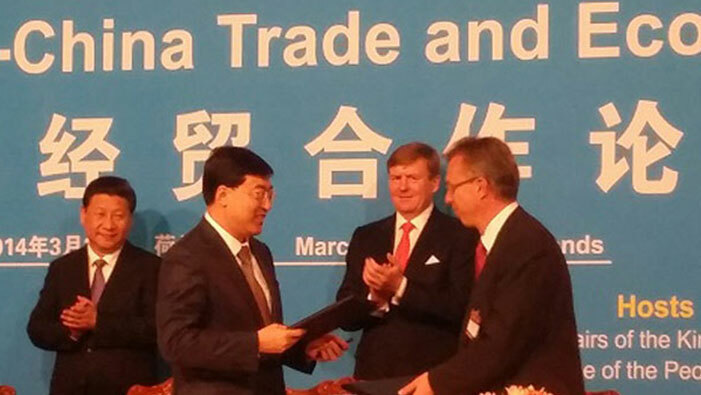 In witness of China’s President Xi Jinping and Alexander, the King of Netherlands, Yili and its business partner signed the agreement on the joint establishment of Sino-Netherlands food safety and security system, the first ever in the history for the two countries. 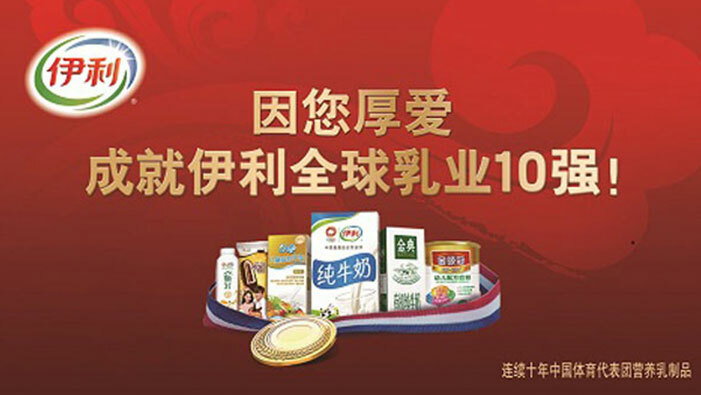 In 2014, Yili entered the world’s dairy top 10, the only Asian dairy producer in the top 10. 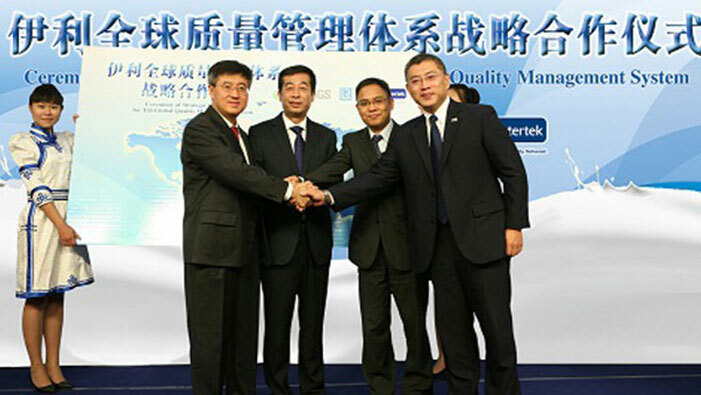 In 2014, Yili carried out strategic cooperation with SGS, LRQS and Intertek to upgrade its global quality safety management system. 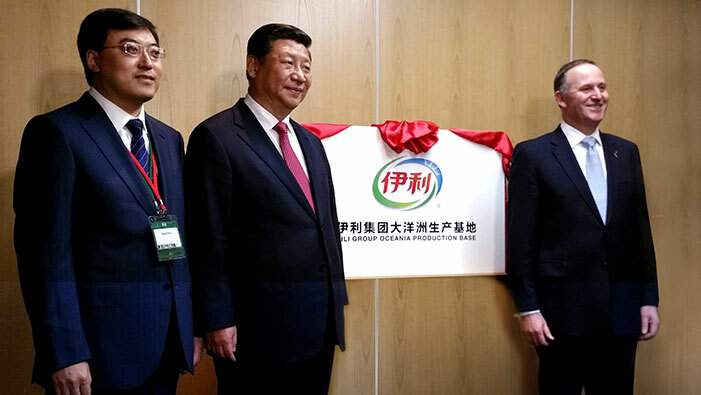 In 2014, Chinese President Xi Jinping and John Key, Prime Minister of New Zealand, inaugurated Yili Oceania Production Base. The two sides hoped to develop the base into the world’s largest integrated dairy base. In 2014, Chairman Pan Gang proposed that Yili will strive to become one of the world’s top 5 dairy enterprises and to leap from a ten billion yuan enterprise to a one hundred billion yuan enterprise. At the same time, Yili upgraded its mission to “recognized as the most trustworthy healthy food provider around the world”. 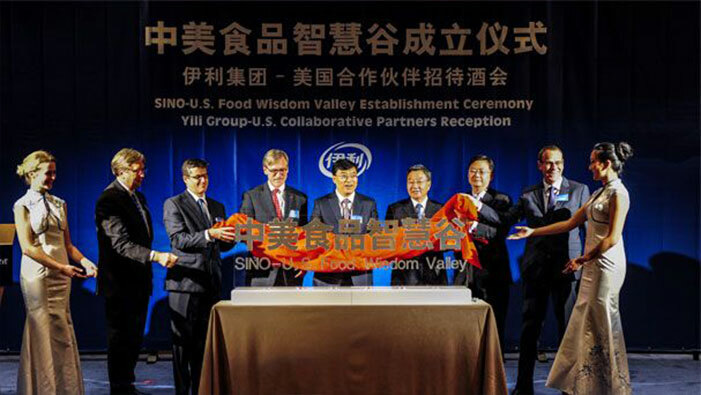 In 2015, Yili led the implementation process of the Sino-US Food Wisdom Valley, a high-end wisdom cluster in the world’s agricultural and food fields, which will pool the wisdom of the world together to research forward-looking issues such as international nutrition and health, food safety and cultivation of talents. Yili staged a remarkable rise up the ranks of the world’s largest diary companies last year and made it into the top 8 in the newly released Rabobank’s Global Diary Top 20 2016 on July 25. 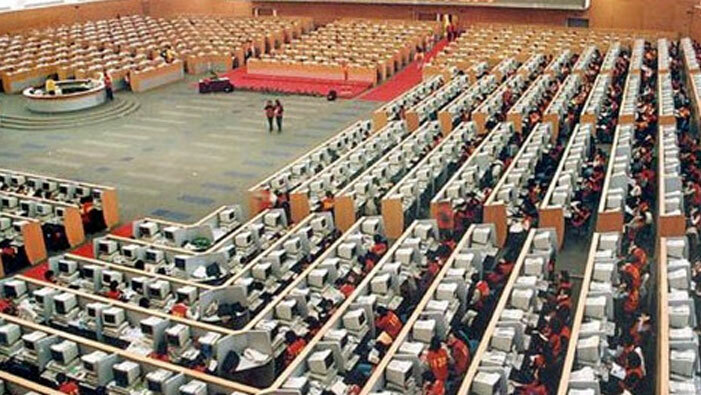 Yili’s high ranking is the best-ever for domestic diary producers, and a record high in Asia. This represents that China has become a diary power and made significant change and contribution to the world’s diary sector.